Stella McCartney "Lisa" one-piece swimsuit in squiggly print. For in-store inquiries, use sku #2469888. Diane von Furstenberg one-piece bathing suit in leaf-print microfiber. Scoop neckline. Low scoop back. High-cut legs. Moderate seat coverage. Nylon/spandex. Polyester/spandex lining. Imported. 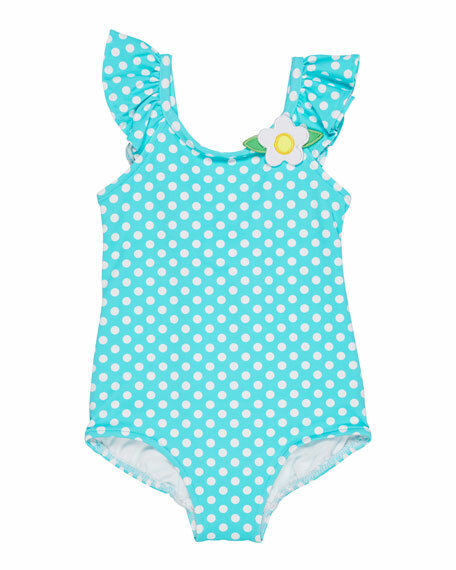 Florence Eiseman one-piece swimsuit in polka dot print. Flower appliqu at left chest. Scoop neckline; square back. Fluted, ruffle sleeves. Self-tie bow at back. Full seat coverage. Nylon/spandex. Imported. Exclusively ours. Florence Eiseman seersucker striped one-piece swimsuit. Ruffle skirt with flower appliqus. Scoop neckline; low-cut back. Wide straps. Full seat coverage. Nylon/polyester/spandex. Imported. 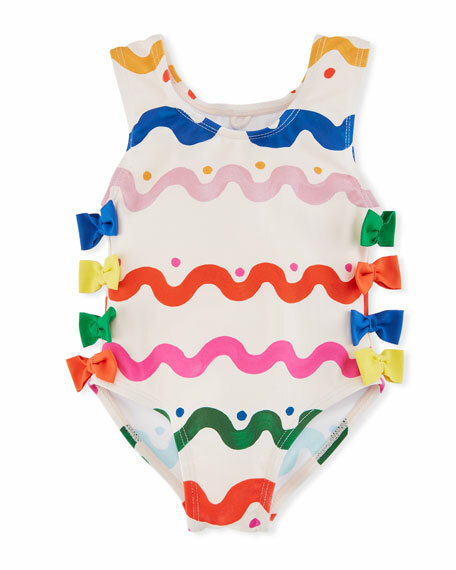 kate spade new york one-piece swimsuit in brush stroke print. Scoop neckline with ruffle trim. Tiered, ruffle trim wraps waist. Full seat coverage. Self: nylon/spandex. Lining: polyester/spandex. Imported.